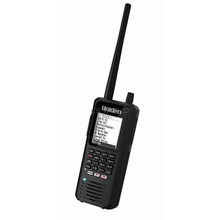 Uniden ® BearCat BCD436HP handheld digital scanner with Home Patrol ®. The BCD436HP is a digital Trunk Tracker V communication receiver no programming is required by the user. Just turn the BCD436HP on and enter your location. The BCD436HP will automatically look up your local frequencies in the digital database to identify nearby RF systems. This innovative new handheld scanner from Uniden is their first handheld to incorporate the Home Patrol's easy to use features in a handheld scanner. The BCD436HP also features GPS connectivity, large LCD display, and Close Call RF capture. The BearCat BCD436HP uses digital Trunk Tracker to search within 20 miles of your zip code or within 50 miles of your GPS location (when connecting an optional GPS receiver). Your scanner will be able to listen in on up to 10,000 police, fire, ambulance, business, utility, and other agencies instantly! Some agencies scramble their signals and the BCD436HP will not be able to tune into those frequencies. The vast majority of radio traffic is unscramble allowing for ease of keeping track of area news, events, emergencies, and weather. The database lookup features of the BCD436HP function equally well in the USA or Canada. The BearCat BCD436HP features NOAA SAME (specific area messaging system) weather alerts. The SAME system only delivers weather alerts for your county direct to your BearCat handheld scanner. You won't be bothered by irrelevant weather forecasts interrupting your preferred RF monitoring. Ensuring that your BearCat BCD436HP has the most up to date firmware is simple thanks to BearCat's Sentinel PC Software and the included USB adapter. Just connect your BearCat handheld scanner to your personal computer and launch the Sentinel computer program. 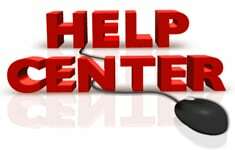 Be sure to follow the instructions closely anytime you are using the PC interface to scanner connectivity.